May 16th and 17th 2014 is ENOCH's Annual Homeschool Convention! We are now into the home stretch of preparations for the convention! Come out and help make it the best convention ever. Pre-Registration ends May 5th! You can click here to start your on-line registration. Remember to sign your children up for the Children’s Program when you register. Again, this year we will be having JandY Ministry giving the presentation. Their 2014 program is “Digging for God’s Truth”. The ages for the Children’s Program are 5-12 years old! You can see the complete list of places and people that your child will be searching for and the times of each session by clicking here. Look for pricing when you register. We have tried to keep pricing affordable, but prices do go up when you register at the door. Check out our website for the workshop schedule and start planning whom you want to hear. Come hear our Main Speakers - Andrew Pudewa, Diane Kummer and Liz Moore and on Saturday afternoon come here G. K. Mangelson, a Constitutional Scholar, speak on Independence Forever! The 4 Steps to Save America. We’re thrilled to have so many great speakers with us this year! We also would love to have you volunteer! We have over 100 volunteer slots to fill during the convention. Volunteer for a three hour shift and choose either Early-Bird Shopping in Used Curriculum on Friday or ENOCH Bucks, which can be use like cash at most exhibitors and for workshop CDs at ENOCH Recordings! If you have already registered and would like to volunteer, please contact Gladys Harris, our Volunteer Coordinator, at Volunteers@enochnj.org. Don’t forget about our free iPad Mini give-away at the convention! When you attend the convention, each family will receive a card with vendors who have sponsored the give-away. Visit each of the vendors and listen to their presentation and they will punch your card. When you have visited all the participating vendors and turn in your card at the ENOCH booth, you will be entered into the drawing for our iPad Mini! When you come to the convention, don’t forget to bring your Boxtops for Education and drop them off at the ENOCH Booth. In addition, you can sign-up to get a year’s subscription to Answers in Genesis Magazine, four issues for $24. The moneys received from both of these programs help defray some on the costs of running ENOCH throughout the year. As always, please continue to pray for the ENOCH Board and all the convention staff as the work behind-the-scenes speeds up for the convention! The Largest Homeschool Convention in New Jersey! This Year's Convention - May 16-17, 2014. See you there! 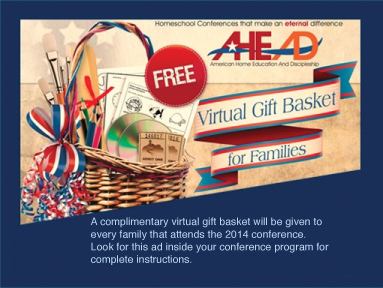 Visit ENOCH of NJ to see all the lastest updates for the largest homeschool convention in NJ! Please, register now! This will help ENOCH be better prepared for the convention, as so many details go into making the convention a success. Don't forget about the kids! Take a look at the workshops, schedules and exhibitor's list! There will also be a used curriculum sale and silent auction again this year! Volunteers are needed to help make this another successful year! PLAN YOUR VISIT TO THE CONVENTION! Check out our website for the workshop schedule and start planning whom you want to hear. There is an article in this month’s newsletter by Andrew Pudewa. In it he mentions another article that he suggests you read. Well, he will be speaking on that topic on Friday evening - Nurturing Competent Communicators. Read the article in the newsletter and then come out to hear him speak. Do not forget Diane Kummer will be giving five workshops on dealing with homeschooling through high school. Over the years we have had many homeschool parents ask, "Can I really homeschool through high school?" The answer is YES, you can. Come to the convention and hear Diane speak on this topic. Diane is HSLDA's High School Consultant. Liz Moore, a very popular speaker from South Jersey, will be speaking on lifestyle topics that will help you at home while homeschooling. We are offering something new to close out the workshops! We have a special speaker, G.K Mangelson, a Constitutional Scholar, who will be speaking on "Independence Forever! The 4 Steps to Save America". Do not forget to check out our Exhibitor List and see who is coming to the convention. If you do not see your favorite exhibitor, give them a call or e-mail them. Let them know you would like to see them at the convention. Do not forget to volunteer for the convention, we have over 100 volunteer slots to fill during the convention. Volunteer for a three hour shift and choose either Early-Bird Shopping in Used Curriculum on Friday or ENOCH Bucks, which can be use like cash at most exhibitors and for workshop CDs at ENOCH Recordings. If you have already registered and would like to volunteer, please contact Gladys Harris, our Volunteer Coordinator, at Volunteers@enochnj.org. You all know that ENOCH earns money by you sending us box tops, but did you know that you could also help ENOCH earn money by entering contests and shopping on-line? And you’re not going to believe how easy it is! Join Boxtops for Education and pick ENOCH as the school that you are going to support. Click BOXTOPS for EDUCATION and then "Sign Up to Support your School." In the lower right hand corner, put in the zip code 07735 and then click "FIND YOUR SCHOOL." Click on ENOCH's name and fill out the simple form! Explore the awesome site, enter some fun contests, let the kids play a game or two, do some online shopping, even print coupons for your next shopping trip with items that have BOXTOPS! Clip the BOXTOPS and send them on in! Send them to ENOCH, 15 Manchester Ave., Keyport, NJ 07735. Remember that every little bit helps support ENOCH! Help ENOCH raise money while supporting Answers in Genesis. Sign up for an annual subscription for $24. A percentage of the proceeds go the ENOCH while still supporting Answers in Genesis. The magazine is produced quarterly (4x per year). Once you sign up please allow approximately 4 weeks for your first mailing. There is a section for kids as well as teens and adults. This is a family magazine to be enjoyed by the entire family! This can be a great gift for someone too! Just list the complete name and address of the recipient and the giver! To sign up, please visit the ENCOH Booth when you come to the convention. Look for Us On facebook, twitter AND now Pinterest! Just click on the links above to follow us on facebook, twitter and/or Pinterest! Keep up with the lastest homeschool news, get encouragement from other homeschoolers or get some great ideas from a wide network of homeschoolers! The more people that "like", "tweet" or "Pin", the more information, encouragement and ideas we can all share! Still Trying to Decide Whether to Attend? Perhaps you have heard of homeschool conventions for years, but have never bothered to attend one. Maybe you attended in the past, but you're not sure that you will attend this year. You may be wondering why you should go to all the time, effort, and expense of attending a convention. Fearful new homeschoolers as well as veterans near the end of their journeys are both in desperate need of encouragement. A homeschool convention with powerful and motivating speakers provides enough encouragement for both. New homeschoolers come away feeling like they can actually accomplish what they are setting out to do and veterans are given the precious fuel they need to continue on the journey. No one among us likes the feeling of being alone in our convictions. The homeschool convention provides an atmosphere of camaraderie by sharing with large numbers of families the strong conviction to provide for our own children's educational needs. It is revitalizing when we realize that we are not in this journey alone. So many product catalogs come in the mail, and you have so little time to read them! At a convention, large numbers of homeschool vendors are represented and the opportunity to actually see their wares is a great advantage to merely reading about them. Vendor workshops are provided adding the "how to use the product" effectively in your own homeschool. Though there are costs associated with attending a convention, there are pay-offs as well. You will have the ability to compare products and prices. You can ask others for recommendations and advice that may help you avoid costly mistakes. In addition, some vendors offer special discounts [and bargains can be found at the used curriculum sale]. Often times our hearts are convicted of a certain road to travel with our families, but our minds are not totally convinced. Conventions can bring the confirmation needed that you are definitely on the right road and that you really did hear God's voice in your decisions. Conventions are a perfect environment for renewing old connections or for connecting with groups or organizations that will help us on our journey. Memberships to national organizations as well as local organizations are made available. You can ask the questions that have been burning in your mind all year. Many homeschooling moms rarely get some time off to really think through what they would like to see happen in their homeschool. Time spent at a convention allows them the freedom and time they so desperately need to process through all of their plans and ideas. A convention offers nearly the entire local homeschooling community available in one location to answer any questions that arise as they go through this thinking process. Conventions offer planned activities for the children. Convention speakers and workshop leaders know first-hand the many tears and trials we go through, and therefore, they are down to earth and funny and can actually relate to what it takes to travel this road. They bring laughter among the tears and touch our hearts in a way no one else can. There is a light at the end of the tunnel and the homeschool convention could just be the source of inspiration and encouragement that you need. Deborah Wuehler is the Senior Editor for TOS, editor of the Schoolhouse Support E-Newsletter, wife to Richard, and mom to eight gifts from heaven. She loves digging for buried treasure in the Word, reading, writing, homeschooling, and dark chocolate! Whether you're new to homeschooling or a veteran home educator, sooner or later the dreaded "S" word will come up: socialization. As many homeschoolers can attest, one of the easiest ways to get social exposure for both children and parents is to get involved in the homeschooling community via support groups and cooperative programs, also known as "co-ops." Finding a support group or co-op can be easy, but figuring out which is right for you can sometimes be a bit more difficult. Often the best answer isn't one or the other – it may be both! Support groups run the gamut from loose networking lists used to share resources about local, state, and regional activities and pending legislation that can affect homeschoolers, all the way up to exclusive groups that are formed specifically to connect and encourage families that share certain religious, political, or educational beliefs. Support groups can be small, local affairs that only reach out to citizens within a certain radius from a town all the way up to national associations with thousands of members. Support groups can be incredibly well-organized or thrown together in a moment – some even spring up in a day simply because a person has taken the time to create an online group through Yahoo! Groups, AOL or other Internet-based communities. On the other hand, co-op ventures require more organization and planning as they do not exist simply to disseminate information. Cooperative programs require a group of individuals who are willing and able to teach a variety of lessons or skills to the students involved. You may find a loosely knit co-op that only meets monthly and has a general, lightly planned program for their meeting such as one or two parents who sign up to play with toddlers and babies, while a few other parents break off into age-based or interest-based groups with the older kids. Other co-ops meet weekly or even several days a week with a schedule based on the traditional school year calendar and lessons planned months in advance. You may even encounter co-ops that hire professional teachers to plan and teach; this is often helpful for high school aged students who are seeking Advanced Placement (AP) and other more difficult courses, if none of the parents involved are trained in the required area of study. The first step to finding a good fit for your family is to analyze your beliefs and educational methods. If you are a member of a certain church you may find a group with shared faith that will be a good option, but it's not always an instant connection if everyone uses varied educational methods. You may find your "relaxed homeschool" family feels lost when surrounded by families who only use the Classical method of education. Families who use unit studies to involve their children from birth through high school may be at a loss in a group that focuses only on a curriculum from a specific company whether there are other shared beliefs or not. Additionally, some groups will cater to a specific community – a sub-set, as it were – within the homeschooling community at large. The best part of being a homeschooler is that you decide what is best for your kids and for you, as the parent-teacher. Remember, you don't have to limit yourself to just one group or co-op! If there are several groups in your area, give each of them a try. 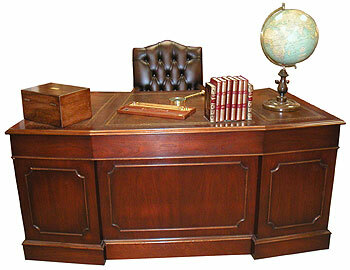 You may find that they fulfill different needs, creating an ideal overall network for you. If you don't know where to start looking for a group, try Googling the word "homeschool" alongside your town or city. If you've been looking for a group but haven't yet found the perfect fit for your family's needs, don't give up! Many a fantastic support group or co-op has been founded because a mom or dad didn't find just what they were looking for so they sat down and created it themselves. Don't hesitate to spread the word about what you're looking for – a great group may just come to you. Join HSLDA and use ENOCH's Discount Code! If you are just joining HSLDA or are renewing you membership the discount code saves you money on your membership. If you are Parents of Preschoolers you can join for free if you your oldest child is younger than five. Please, also use ENOCH's HSLDA Discount Code on your application for your free membership; this helps ENOCH with programs that are available to the organization. Contact the ENOCH Office at office@enochnj.org and ask for ENOCH's HSLDA Discount Code. Regular or renewal HSLDA Membership click here. Join or Renew for 2 years and receive a FREE gift! Doing the Right Thing, an ethics course by Chuck Colson. College Bound? Thinking about SATs? Which tests should my students take? When should they be taken? Should we expect to retake the tests one or more times? What is the difference between the APs and the SAT Subject tests? How do we register for testing? Are there additional considerations for homeschoolers taking College Board tests? The workshop will be held in the library at Stone Hill Church. The Morris County Park Commission is the steward to over 18,730 acres of parkland. Maintaining these lands for people and wildlife involves careful planning. Join a natural resources management team and learn to identify non-native invasive plants and how they negatively impact the native flora and fauna. Help to remove these invasive plants from the natural environment, amend the remaining soil if needed, and add native plants with wildlife value to attract and support local butterflies and bird species. Bring a lunch and be prepared to spend most of the time outdoors – wear sturdy shoes/hiking boots. YOU’RE INVITED - PLEASE JOIN US! Tuesday, May 6 from 10 am – 3 pm– Arts Festival at the Randolph campus – this is a come and go as you please event. Performances of singing, dancing, drama, instrumental music and an art display. Carnival food – Hot dogs, ice cream, popcorn, hot pretzels, lemonade, etc. Please visit the FAITH Center’s website, www.faith-center.com to learn more about our program. For more information, email info@faith-center.com or call 973-252-5043. FAITH Center for Their Fine Arts Instruction? Register for an Information Session and Tour to Find Out. Do your homeschool plans for next year look anything like this? 1. Round out my kids’ academics with some incredible fine arts offerings. 2. Calm our schedule down by scheduling special activities for all of my kids in one place, on one day. 3. Look for classes taught from a Christian worldview. 4. Be a good steward of the financial blessings God has provided to my family. The FAITH Center offers all this and so much more!! What is the quality of the instruction provided? Just ask some of last year’s seniors who are now majoring in Musical Theater, Art, Music Education, and Theater at their colleges of choice. The FAITH Center, founded 21 years ago by Bill and Lori Briggs, offers homeschooled students of all ages professional instruction in the arts with a focus on exploring and developing talents to glorify God. Whatever your reason for seeking professional instruction in the arts from a Christian perspective, the FAITH Center may be your answer to prayer. Information sessions and tours are currently being scheduled at all four of our FAITH Center locations (Randolph, Lafayette, Wayne, and Somerset) for the 2014-2015 year. If you’re interested in learning more about the FAITH Center and discerning whether it might be a good fit for your family, please visit the FAITH Center’s website, www.faith-center.com to learn more about our program. Don’t wait until the summer to look into our course offerings; it could be too late! For more information, email info@faith-center.com. Theater Arts Camp of Sussex is accepting registrations for its fifth annual two week intensive for teens serious about developing their theatrical performing skills. Each student receives advanced instruction in character development, audition preparation, vocal technique, dance, stage movement, and production elements. Master classes and Q&A sessions with veteran Broadway stage performers are a popular highlight. Past guests have included Adam Jacobs, Anne Nathan, Stephanie Martignetti, Michael Zygo, Amanda Rose, Laura Osnes, and J. Mark McVey. The 2014 camp, hosted at Lafayette Federated Church, will run from July 21 through August 3, with performances scheduled for August 1 – 3. Auditions, by appointment only, will take place in April and May. The FAITH Center for the Arts is thrilled to announce the addition of Animation Camp to their growing array of fine arts opportunities for students in New Jersey and beyond. Animation Camp is designed for students in seventh grade through high school. Programs will be offered in three locations to meet demand. The Lafayette Animation Camp will meet from August 18 – 29. Brigade Air, Inc. / Mission Aviation Adventure Camps is in its fourteenth year of inspiring and challenging young people to consider God's call, to educate them about the personnel needs in missionary aviation ministry, and the aviation industry. We have had over 2,700 campers in attendance at 125 week-long youth aviation camps in over 20 states and foreign locations. The camp we are conducting this June 23 - 27 in NJ costs $689 for the week. This includes flight time, food, bunk, insurance...everything. The camp has an in-ground swimming pool, playing fields, and an optional ropes course available. We will be flying each day, weather permitting, conducting ground and video sessions on aerodynamics, the air traffic control system, aircraft navigation, aircraft maintenance, missions opportunities around the world, aviation weather, physiology of flight, plus more. We also have one day planned for a tour of the air traffic control facilities at the Teterboro Airport, a tour of an aviation museum, and use of a Red Bird flight simulator. Please note that most week-long youth aviation camp costs around the US range from $1,500 - $2,500, but due to subsidizing through our network of donors contributing to our camper scholarship fund, volunteer pilots and aircraft owners working with us, we are able to offer the week at a much more affordable rate to each camper. We ran the Mission Aviation Adventure Camp program at the Lincoln Park, NJ Airport in 2012, and this year we will be operating from the Solberg-Hunterdon Airport. The campers will be staying at The Deaconry Conference Center in Liberty Corner nearby. We will bring our airplane in from Ohio for the week. There are still spaces open, but they will fill in quickly. To register, go to www.brigadeair.org and click on "Camps & Campers". Partial camper scholarships may still be available, so feel free to inquire. The Constitutional Walking Tour of Philadelphia is an outdoor walking journey that provides a primary overview of the Independence National Historical Park area and visits more than 20 of the most historic sites in America's Birthplace including the Liberty Bell, Independence Hall, Franklin Court, Betsy Ross House and the National Constitution Center. ENOCH of NJ e-Newsletter NEXT DEADLINE PLEASE NOTE CHANGES IN DATES OF DEADLINES BELOW! Send all submissions to newsletter@enochnj.org. This deadline serves the purpose of allowing time for editing and formatting the newsletter in order that time-sensitive information can be posted and mailed in a timely manner. Final editing begins at the deadline. Submissions prior to the deadline are always welcome and encouraged. Submissions received after the deadline are not guaranteed to appear in the newsletter. Posting and emailing is normally by the 1st of the month (except for the June issue). Thanks for your help in getting the newsletter delivered promptly. If you are not already subscribed to this newsletter, you can subscribe now! If you would like the e-Newsletter delivered directly to your e-mailbox each month, go to Monthly Newsletter link on our website at www.enochnj.org. Encourage your support group members to subscribe to the ENOCH email list! Include this portion of our newsletter in your monthly hardcopy newsletter. Get the word out that this newsletter is for them! We use our subscription list to notify the homeschooling community of changes to our website, of the Convention and our Leadership Conference, alerts, and other important news. All submissions desiring consideration for publication in the e-Newsletter should be sent to newsletter@enochnj.org. Thanks.